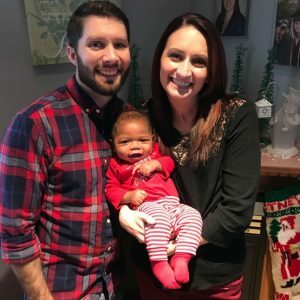 When Alyssa and Dan Paton found out that the birth-mother of their son had pre-eclampsia, and would be giving birth at 34 weeks, they were not sure what to expect. 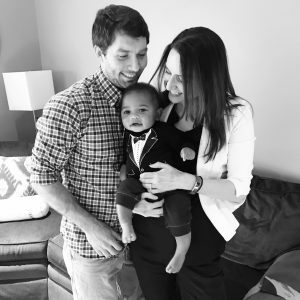 And when little Myles was born healthy but early, and they were told he needed to spend some time in the NICU at Maine Medical Center in Portland, they weren’t sure where they would stay. 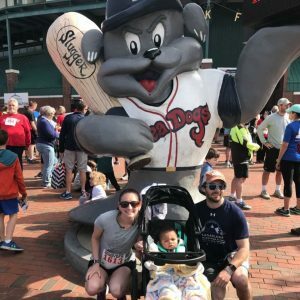 Friends and family had mentioned Ronald McDonald House Charities of Maine, but they had never thought they would need to use a facility like that. When the social worker at the hospital suggested a referral to the Portland House, they accepted. “You don’t have to think about anything. All your focus can be on your child.” Alyssa recalls a comfortable bed, hot meals (eat-in or to-go), and a warm welcome from staff, volunteers, and the other families. She knows that they were able to focus on the big picture, helping the newest member of their family stay healthy and grow strong. They appreciated all the things RMHC Portland was able to provide, so they didn’t have to split their focus. Knowing that they could do a load of laundry, find toiletries, walk to the hospital, and not have to worry about parking made the first two weeks of their son’s life exactly what it should be – a bonding time for a new family! The Paton family stayed at our Portland House for 15 nights.